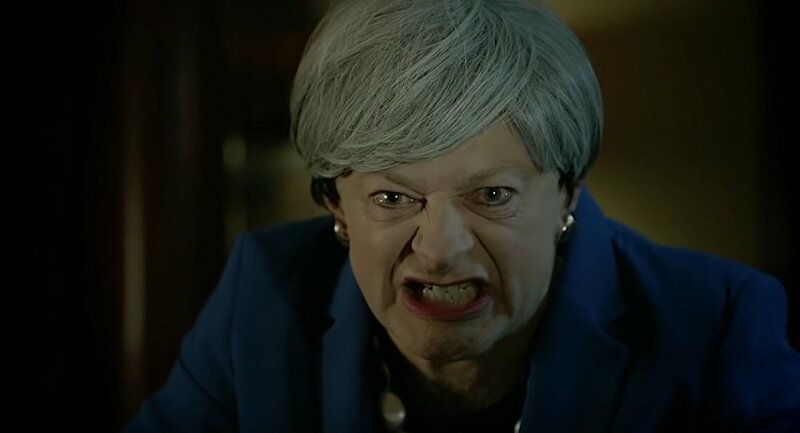 Andy Serkis, the English actor who played Gollum in The Lord of the Rings trilogy, has shared a brilliant yet extremely unsettling parody of Prime Minister Theresa May and her besieged Brexit deal. The skit, titled ‘LEAKED: Footage From Inside No. 10 Downing Street! ', shows Andy Serkis sitting in Theresa May's obscure headquarters made up as the PM. He parodies a famous scene from The Two Towers, where Gollum is having a debate with his true self, Smeagol, over whether to kill the hobbits and take his "precious" ring, his only treasure, away from them. In the sketch, Theresa May's split personality is weighing up the pros and cons of her final Brexit deal days before it will face a parliament vote. "We takes control — money, borders, laws… blue passportsesss!" May's Gollum hisses with an evil giggle, referring to the withdrawal agreement as "her precious". "No, it hurts the people. Makes them poorer", replies Smeagol. "But I finds it. I negotiates it! We want it! We has to do it", insists Gollum. May/Smeagol than suggests that they should "ask the people" whether they want it but is interrupted by the irritated Gollum: "Stupid, tricksy Remainers! They ruins it". Gollum then rules out a people's vote and insists that "this is the only deal", in a nod to Theresa May's repeated claims that her deal was the first option, with the second being a no-deal scenario. The sketch ends in a sinister tone, showing Theresa May looking at the agreement and saying, "This is the deal. It's mine. My own. My Brexit." The real-life Theresa May negotiated a withdrawal agreement with the European Union in November after months of tough talks. After the remaining EU27 leaders rubber-stamped the document, she has to get it through a historic parliament vote on Tuesday. However, lawmakers both inside and outside May's Tory party have criticized her Brexit deal, in particular over the "Irish backstop" clause. The backstop is effectively a safety net which guarantees a frictionless border (i.e. no physical checks and infrastructure) between Northern Ireland and the Republic of Ireland. 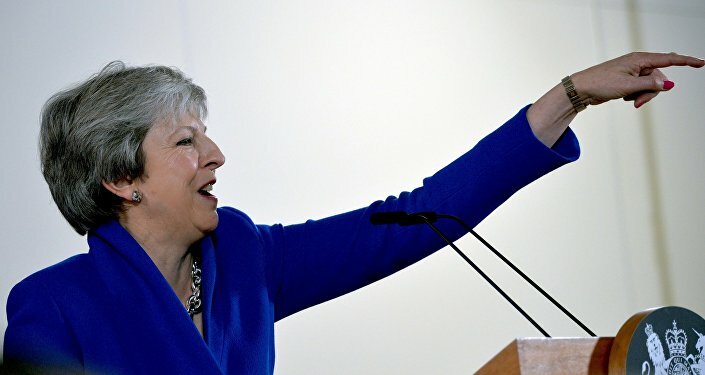 Under Theresa May's proposal, the United Kingdom will be sticking to current EU rules after the transition period ends in December 2020. This option will remain activated until London and Brussels agree a new trade deal. According to this agreement, Northern Ireland will also continue to follow some rules of the European Union's single market, which would mean that goods coming into Northern Ireland would need to be checked to see if they meet EU standards. This has sparked concerns that the kingdom would continue to stay aligned with EU rules for an indefinite time.